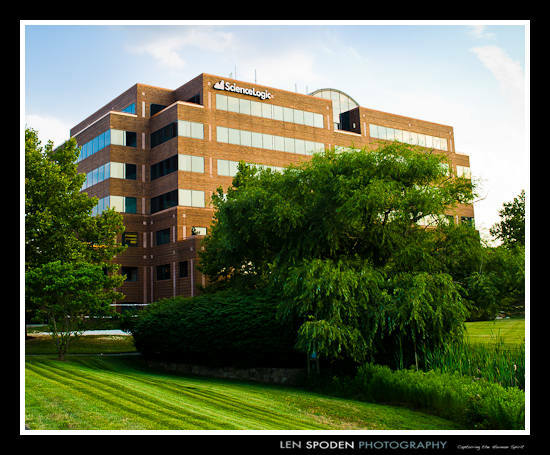 One of my clients in Reston, VA, ScienceLogic, asked me to photograph their new headquarters building in Reston, VA. I waited until late evening to photograph the building to take advantage of a beautiful setting sunlight on the building. The pond and the water fountain really helped frame the photograph.